Foremost among the benefits is the ability to better support faculty and students in their teaching, learning and research, and to advance the institutional mission. Additionally, members benefit from making their resources visible and integral in documenting the Catholic heritage. Members benefit from their leadership roles in shaping the Catholic portal and the dynamic network of institutions committed to ensuring Catholic research resources are accessible now and in the future to scholars worldwide. "We wanted to showcase the foundational works of our Spiritan Order and the Pittsburgh Catholic newspaper, making these digital resources accessible through the portal so Catholic scholars will find them. CRRA membership positions our university with other prestigious Catholic institutions. 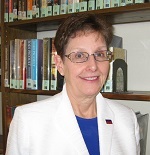 In addition, several librarians have contributed to CRRA by leading and serving on committees and by developing research tools such as LibGuides on Catholic topics."